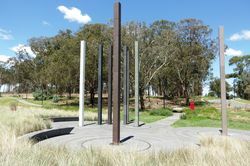 Monument commemorates those who have died as a result of work place accidents, disease or injury. 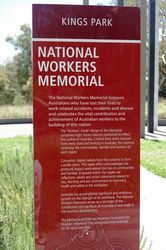 On average, about 300 Australians die every year in workplace accidents. 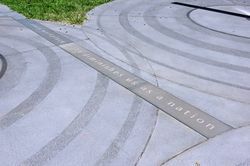 The values that form the foundation of the Memorial are - Knowledge, Dignity, Prevention, Representation, Commitment, Diversity, Teamwork, Design, and Family. 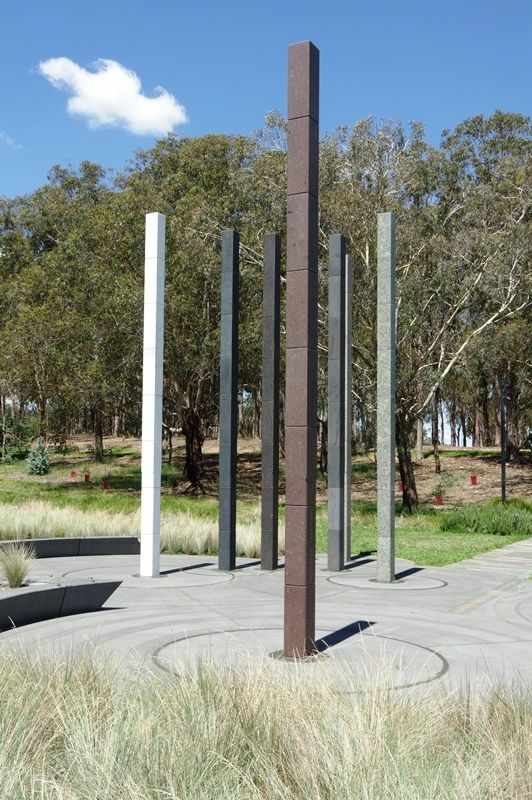 The monument is a series of tall, slender columns clad in stone, representing each state and territory in Australia. 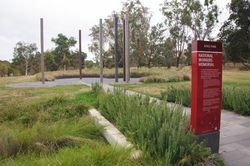 Each column is symbolically dedicated to the communities, families and workers - the people - of each state and territory and one’s home. 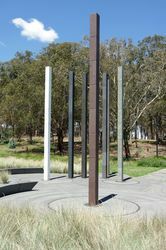 The columns are crafted from stone sourced from places as varied as the alpine reaches of Tasmania, to the tropical regions of the Northern Territory. The finishes are smooth to the touch and subdued in the light. 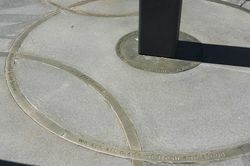 From above, the locations of the columns, laid out like a map of Australia, correspond with the locations of each state’s capital city. 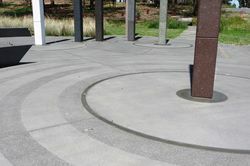 Concentric rings on the plaza pavement radiate out from each column and overlap to form a shared, public plaza. These rings, representing the ripple effect, acknowledge the profound impact work related loss has on communities and families. 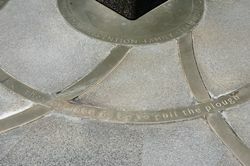 At the foot of each column is a metal baseplate engraved with a value, from which emanates a series of rings leading to a second engraved inlay with inspiring quotes applicable to each value.